Jaimaci, in Nepal that is how we greet fellow Christians. Before I talk about my trip I just wanted to say thank you so much, if it was supporting me or just praying for me. I really do appreciate you so much and now let me tell you about my trip. I got to see really cool things God is doing this summer. Spiritually I learned a lot this summer. I learned what it is like to be in total abandonment to Christ and giving up literally everything for him. I also learned how really great God’s grace is for us. I thought I knew what grace was but then I got the full concept this summer. I got to study the true meaning of what the Bible thinks about obedience, courage, and faith. I feel like a changed person spiritually and God was at work in me and my team. For ministry, we got to do many things but I will share about one that stood out. We got to go work at a rehabilitation center for men who were turning to God and away from drugs. 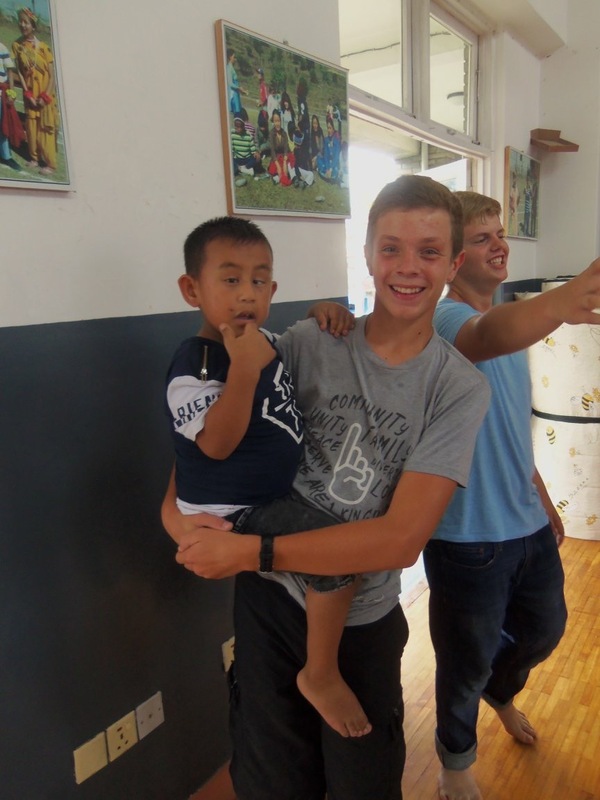 We got to help them fix up a soccer field for the community and did worship and a message with them. Another opportunity we got to experience was we got to go hang out with kids that had Downs Syndrome we got to do puppet, dance, and drama routines for them, then they did a dance show for us it was great. After that we just hung out with them and danced, made balloon animals, played ring around the Rosie. And that was cool to see the kids’ faces just light up with joy. A big part of our ministry was going out on the streets and meeting people. In Nland that is how the missionaries do ministry, they meet people which turns into relationships then you share the gospel. A lot of what they do is plant seeds, and God uses those seeds. I was glad that I could be a part of that seed planting. I can't wait to see if God calls me back to Nepal, I would go to Nepal for just that one person to be saved. Pray for Nland and the people there. Pray for the Church to grow under the persecution they are now experiencing.